242 pages | 8 B/W Illus. 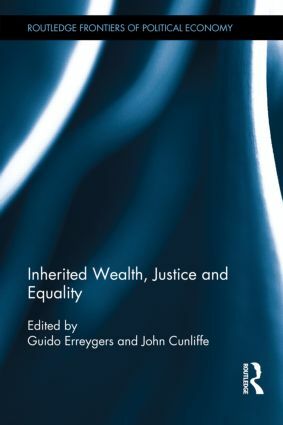 The core of the book consists of a selection of papers presented at an international workshop where researchers from a variety of fields and countries discussed the connections between inherited wealth, justice and equality. The volume is complemented by a few other papers commissioned by the editors. The contributions cover historical, political, philosophical, sociological and economic aspects. Guido Errygers is Professor and Chair at the Department of Economics, University of Antwerp, Belgium.